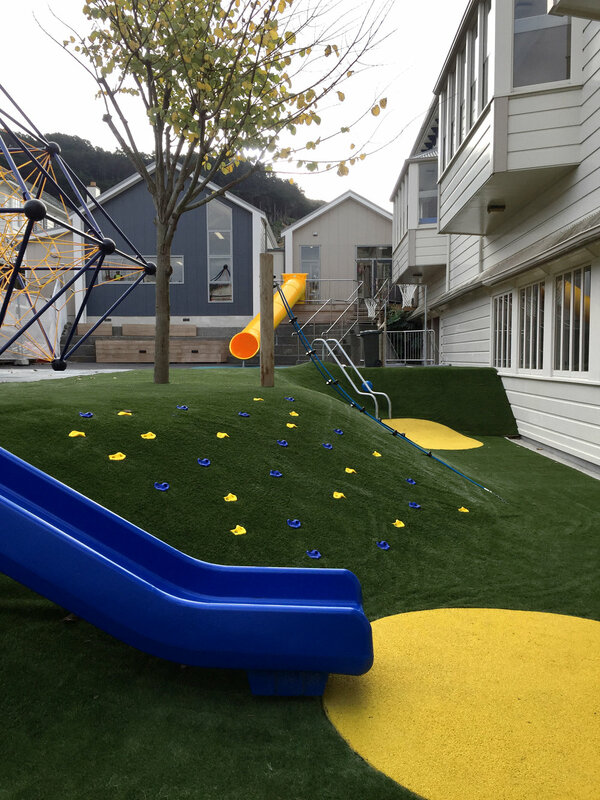 We have worked on over 40 schools throughout New Zealand .From community consultation and masterplanning to detailed design of playgrounds and environmental interventions Mark Newdick Landscape Architects work with a range of budgets to maximise the benefits for our clients. 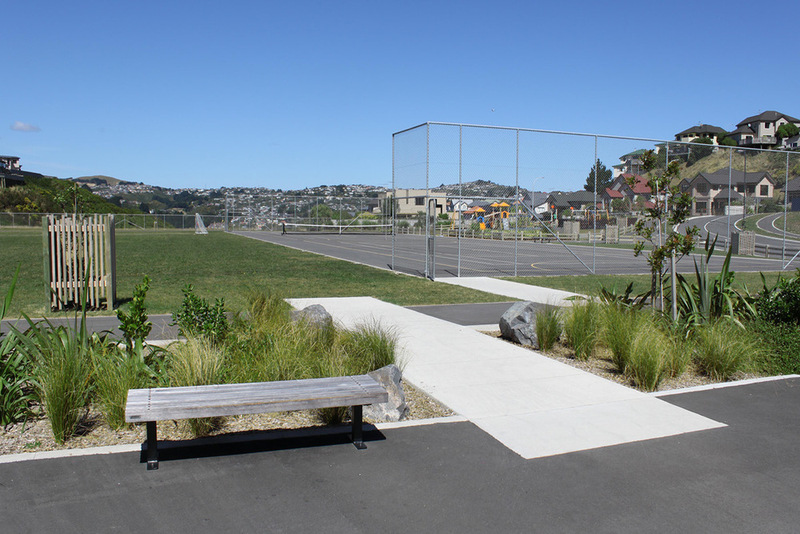 MNLA were engaged in 2012 to work within the design team headed by Murray Robertson and Stephenson and Turner on the merger of Miramar South and Strathmore Park schools under the new name of Kahurangi School. The initial build won several international awards for educational design. Since then, MNLA have been retained by the school to develop a playground masterplan for the school which included new senior playground as well as athletic and environmental projects. 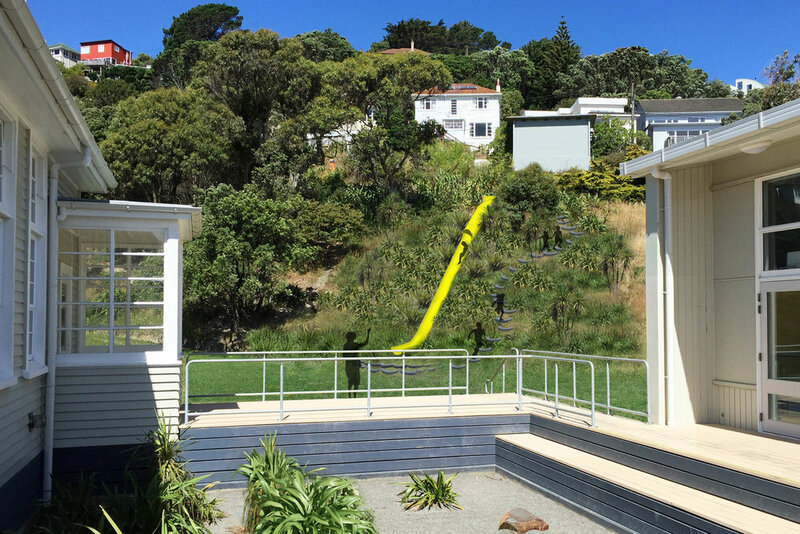 The new playground was completed in 2015 and after two years of fundraisng a super slide which utilises the steep hill above the school was opened in 2017. As part of the consortium headed by Downer and Stephenson and Turner Architects, MNLA received the highest possible score from the Ministry of Education for their work on the third PPP (Public Private Partnership) to design five schools across the country. The large multidisciplinary design team lead by Murray Robertson and Mark Newdick developed innovative, state of the art pedagogy based design concepts. 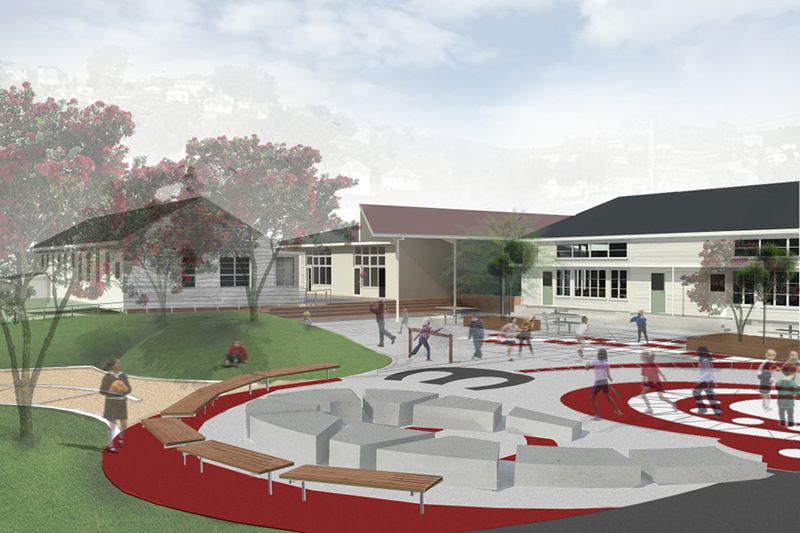 Including primary and high schools the project emphasised sustainable design techniques to minimise the impact of the development as well as providing a learning landscape for our future kaitiaki. Tikanga Maori was interwoven throughout each project including ceremonial welcome spaces, freshwater quality initiatives, promotion of self sufficiency through understanding of food production, local ecology and traditional medicinal plants. Extensive sporting facilities and complex traffic requirements had to be efficiently masterplanned onto the sites as well as special needs units for some of the schools. MNLA have been working for Queen Margaret College for six years now and have completed three projects to date. 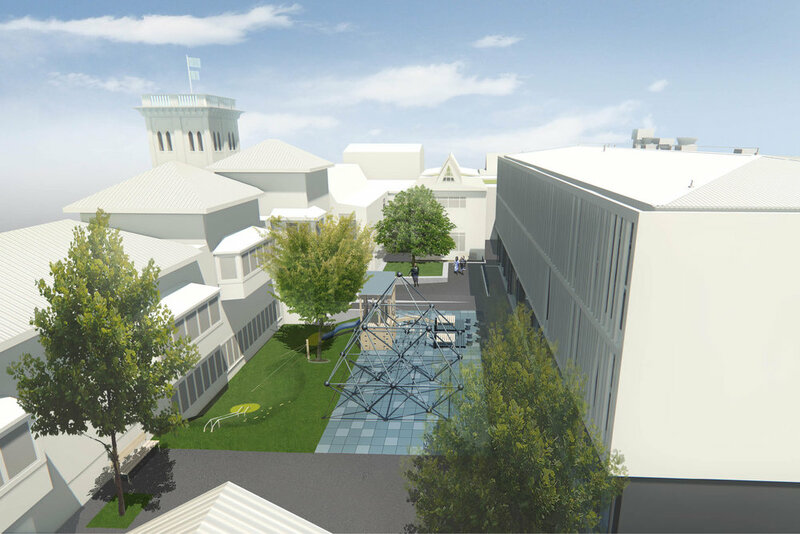 The latest project is a new internal courtyard and playground which is currently under construction. The courtyard is in response to a new boarding hostel which will be built following the courtyards completion. MNLA also designed the entry to the hostel off Katherine Avenue which references the surrounding gardens and unique paving treatments to integrate the entry into the streetscape. Previous projects for QMC include the area surrounding a new Gym and Languages block which included a new sports court, the Year 13 courtyard, a large elevated courtyard built over a basement storage area, boundary treatments, a major renovation of vehicular access and parking areas and overseeing the transplantation of several mature memorial trees. MNLA were involved right from the masterplanning stage including community consultation and application for resource consent right through to construction supervision. Other projects include renovation of the main entry and lawn area, a new pedestrian entry and preschool. Following the 2010 Christchurch earthquakes, the formerly market gardening area of Marshland has experienced rapid urban growth. The exisitng school has consequently outgrown its facilities and is moving to a new site nearby. MNLA worked with Citycare and architects Stephenson and Turner to masterplan, design and build a new, state of the art educational facility. 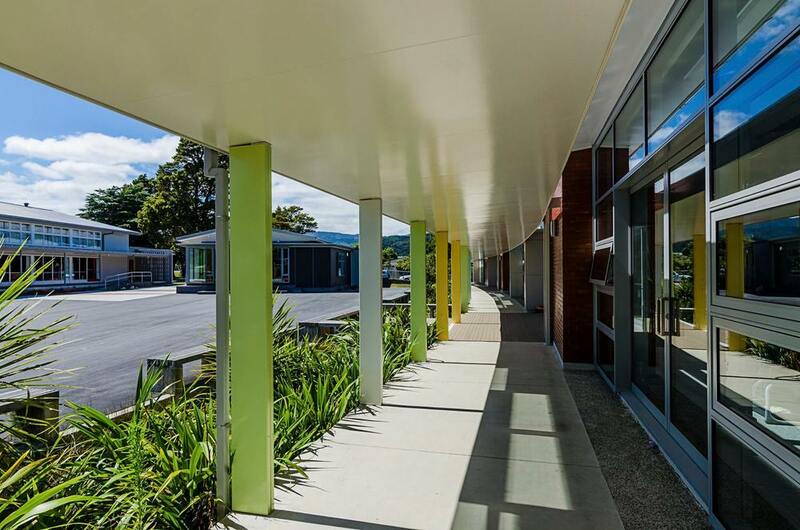 The main entry into the school crosses a wetland which slows and filters stormwater runoff from the large building, carpark and paved areas. A former drainage ditch has been rehabilitated into gently flowing stream in collaboration with Christchurch City Council. 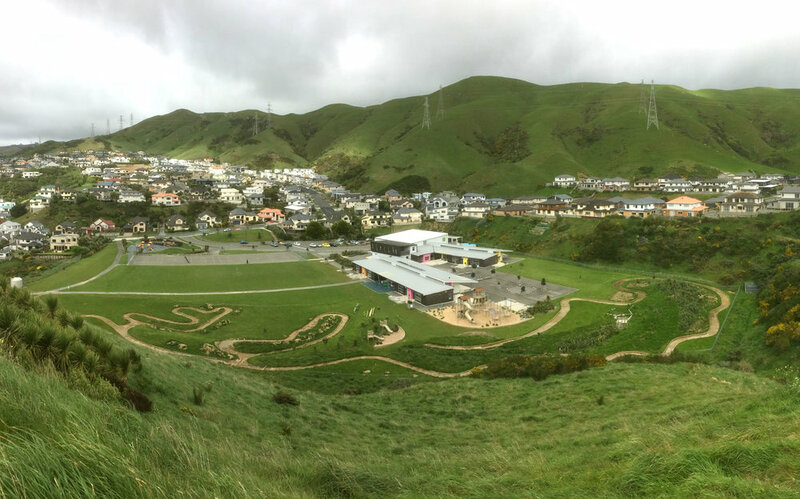 7000m3 of soil excavated for the building foundation had to be kept on site and has been formed into a series of sculptural mounds which will house adventure playgrounds, mountain bike tracks and an amphitheatre for sporting events. The project is due for completion in 2016. 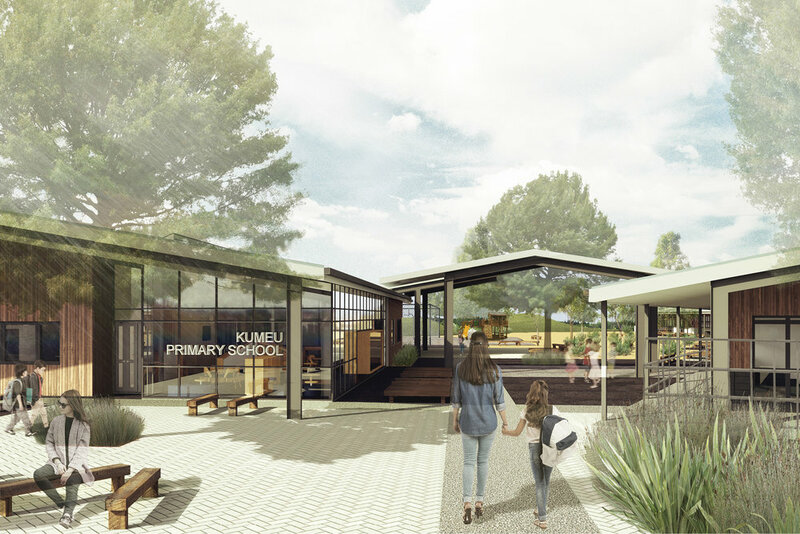 MNLA worked with Stephenson & Turner Architects to undertake community and stakeholder consultation, site assessment and masterplanning for a $25M redevelopment of both school sites. The masterplan required resolution of an almost total rebuild of the high school while ensuring its continued operation, complex traffic and parking requirements, the possible inclusion of a large Council sporting facility and shared administration building for the two schools. 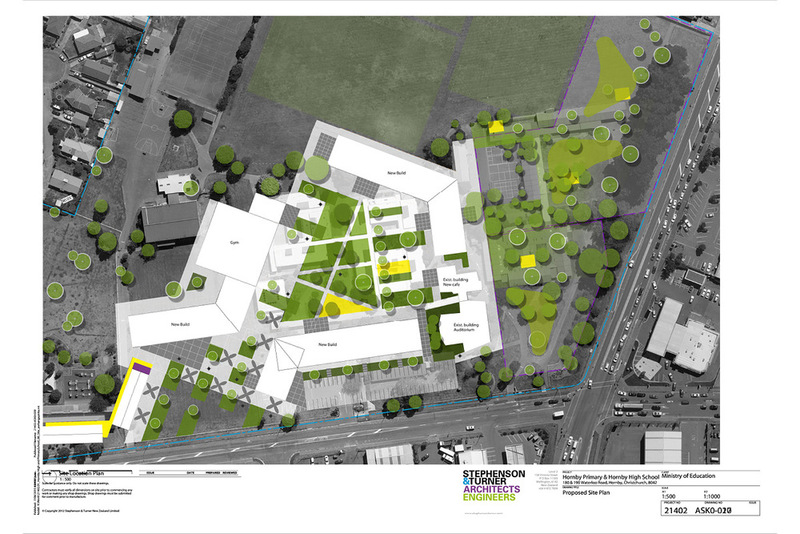 The masterplan aimed to express the specific requirements and aspirations of the low decile school and its community. Consultation with Maori and Pacifica groups was particularly fruitful in driving the design response and contributed to ideas around spatial design and restoration ecology. 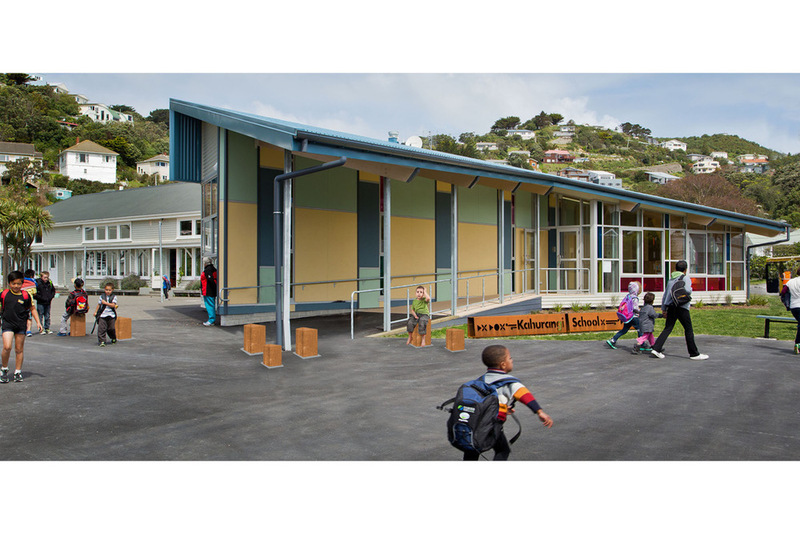 MNLA worked with McKenzie Higham Architects to masterplan and impliment the first new school in Wellington in forty years. The school is situated on a landfill site which was in-filled with earth removed from surrounding building sites. A large all weather play space was provided in the centre of the school which contains games spaces, a safety surface chess board, a circular rock seating area, outdoor classrooms, seating and tree planting for shade. As play equipment was not funded, seating, surfaces, decks and low walls were used to provide abstract play elements for imaginative play. Initiatives such as the inclusion of locally native planting, bike stands, food production and composting areas and efficient use of soil contributed to the project receiving Greenstar accreditation. MNLA have been retained by the school to develop and impliment a playground masterplan. An eco-learing area was completed in 2014, a new playgroundcompleted in 2015 and a bike track with skills and pump courses completed in 2017. 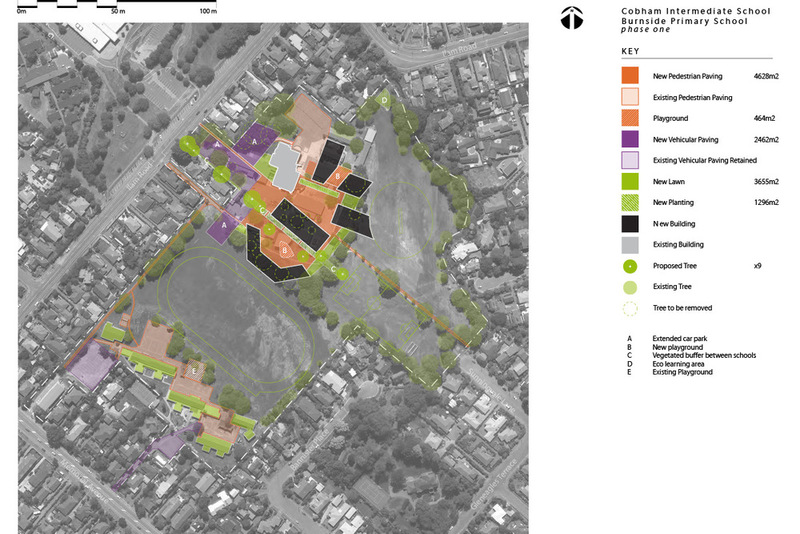 As part of the Christchurch Earthquake rebuild and in collaboration with Stephenson and Turner Architects, MNLA undertook a masterplanning exercise for the Burnside Cluster of four schools in the Fendalton / Papanui area. This involved consultation with community, school and the Ministry of Education to provide a broad vision for the next 50 years of development at a community level. Contentious issues such as school closure and amalgamation were successfully negotiated. Limited budgets were carefully apportioned to provide maximum impact across the community while opportunities for further development beyond the initial spend were identified, particularly with reference to landscapes which are commonly developed over time. 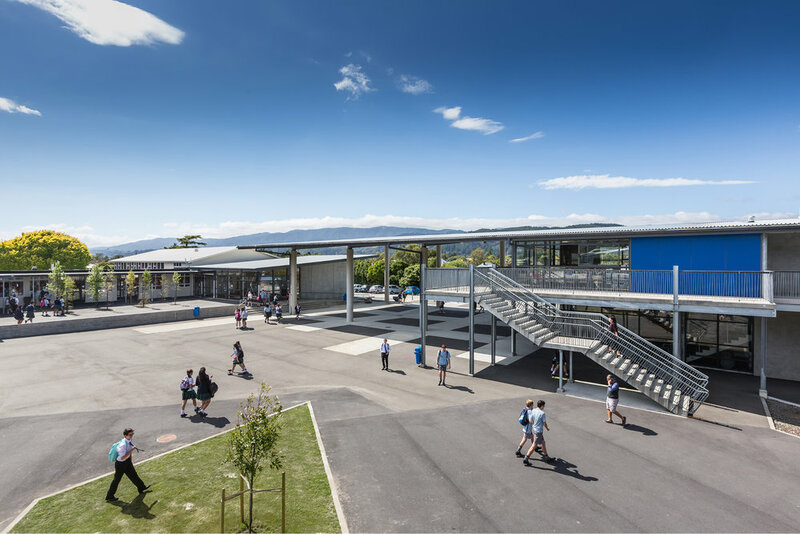 MNLA collaborated with McKenzie Higham Architects on an NZIA award winning redevelopment of Fergusson Intermediate in Upper Hutt. A new central courtyard was created between old and new buildings as well as a new car park and pedestrian entry. The design uses the contrasting materials of concrete, asphalt and brick to reference the brick clad buildings and create a dynamic and low cost paving treatment. Rain gardens, nature areas and a variety of outdoor classroom types are employed to maximise learning opportunities in the landscape. 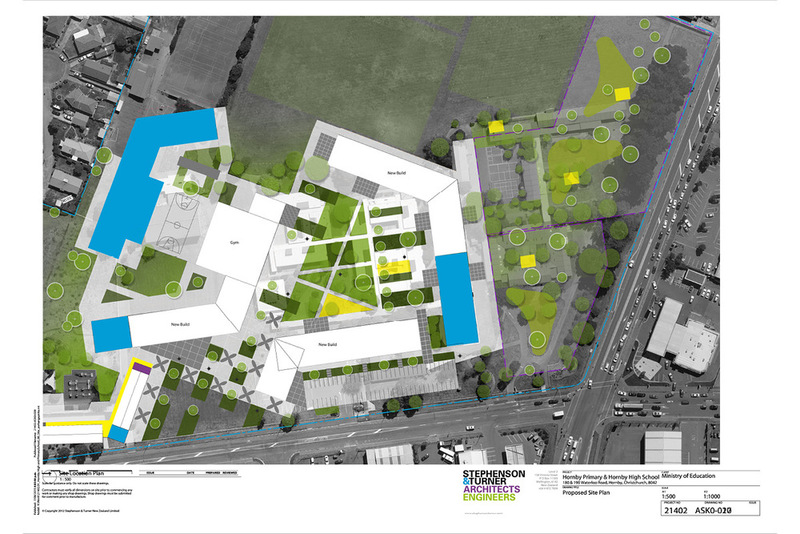 MNLA started working for Upper Hutt College in 2009 to design a masterplan for its extensive redevelopment in collaboration with Murray Robertson, formerly of Stephenson and Turner Architects. The build programme replaced 80% of the buildings and reconfigured the open space to provide a new entry road, drop off area and central courtyard. The project was completed in 2015.